Here are cheap deals for the Eleaf iCare Mini Kit. This is a nice little portable kit to use with your nic salt or other high nic juices. 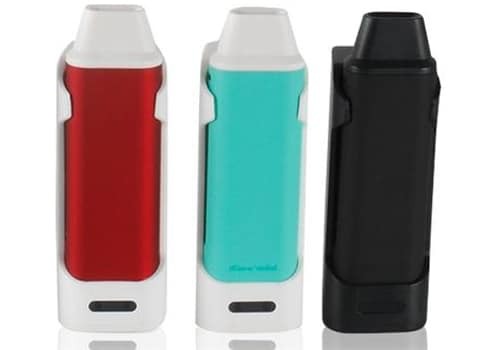 The Eleaf iCare Mini Kit is an all in one vape system perfect for high nicotine and nicotine salt e-juices, is also compact, has an integrated battery, is draw activated, can hold 1.3ml of e-juice and features adjustable airflow. The unit is made with an integrated 320mAh battery, but also comes with a portable charger case that has a whopping 2300mAh capacity. Both are charged via a micro USB port and a battery LED keeps track of charge levels. Inside the iCare Mini Kit, you will find a 1.3ml internal tank that is easily refilled and has adjustable airflow. Additionally, inside the reservoir, you will see a 1.1ohm iCare IC coil that fires in the range of 5 to 15 watts. Since this is not a sub ohm setup, you will find it is best to use with nicotine salt or high nicotine juices. Swapping the coil is also easy thanks to an integrated coil slot tool. Design-wise, this setup is small thanks to dimensions of 34.5mm by 12mm by 75mm, allowing for easy placement in the shirt or pants pocket. Available colors include white, cyan, red and gold.